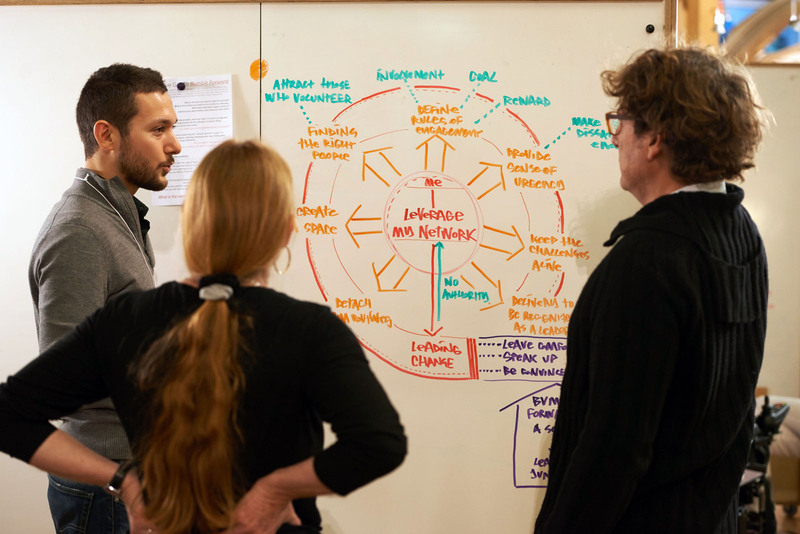 At the heart of our approach is the insight that innovation is a collaborative problem-solving process—most often among people with diverse perspectives and expertise. What many of us consider “great leadership” – define a vision and get your people to align around it – does not work when leading for innovation. Leaders of innovative businesses do not see their role as the visionary, but rather as the creator of a world in which others are willing and able to innovate. These components are necessary regardless of size, industry, or region. Leading innovation requires leaders to rethink their roles and responsibilities. Leading innovative teams and organizations remains one of the most perplexing mysteries today. Over a decade ago, our partners recognized that while there were many good books on leadership and on innovation, no book combined these two disconnected fields and analyzed what leaders of innovation truly do. Leveraging their complementary expertise, our partners co-authored Collective Genius: The Art and Practice of Leading Innovation. The book digs deeply into how leaders of innovation create the context for breakthrough innovation and what it takes to be successful in a world of continuous disruptions. Collective Genius provides an essential framework for leaders wishing to unleash and harness the full innovative potential in any organization. Gathering data for the book led the team to travel the world in search of innovative companies. They explored organizations across multiple industries in search of common traits and practices among the most innovative leaders, including Google, IBM, Pfizer, Pixar, and Volkswagen. No matter the industry, they found that any organization can innovate. Collective Genius has enjoyed a strong reception by global industry leaders interested in the deep insights the book provides. The book provides leaders with the necessary framework and tools to overcome common organizational obstacles to achieve groundbreaking innovation. The ideas illustrate how leaders can unleash and harness people’s “collective genius” to produce consistently better innovations. Paradox Strategies was founded to deepen the innovative impact of Collective Genius with some of the world’s largest companies.